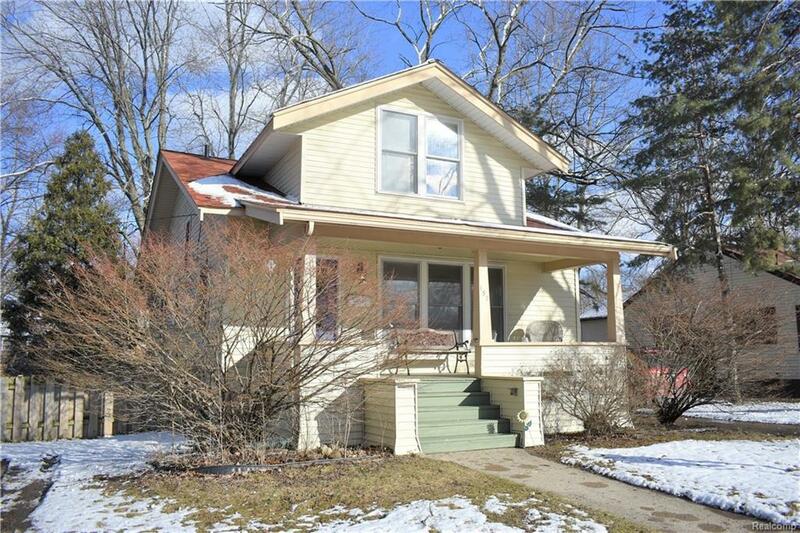 THIS CHARMING CAPE COD IS WITHIN WALKING DISTANCE TO SOUGHT OUT DOWNTOWN PLYMOUTH! THIS HOME IS PERFECT FOR AN OWNER OCCUPANT OR INVESTMENT! HOME OFFERS 1ST FLOOR MASTER BEDROOM ALONG WITH 2 ADDITIONAL BEDROOMS UPSTAIRS AND 2 BATHROOMS AND IS IN AWARD WINNING SCHOOL DISTRICT! THIS HOME IS ZONED AS MULTI-FAMILY/RESIDENTIAL AND CAN BE USED FOR CERTAIN SMALL BUSINESSES IF CITY REQUIREMENTS ARE MET. THE HOME HAS A FULLY FUNCTIONAL APARTMENT DOWNSTAIRS WITH 2 BEDROOMS, KITCHEN, AND FULL BATH THAT CAN BE RENTED OUT! THE SALE INCLUDED THE 50 X 132 VACANT LOT NEXT DOOR.